Meanwhile, RIAs affiliated with Focus Financial and LPL add reps.
Wells Fargo Advisors (WFC) said Wednesday that it has recently recruited advisors with more than $1 billion in total client assets. Kingsport, Tenn.-based Center Street Wealth Management – with three advisors – is joining the independent channel, Wells Fargo Advisors Financial Network, or FiNet. The group includes financial advisors Timothy Colvin, Jeffery Beford and Gregory Taylor. They bring 65 years of combined experience, most recently from UBS Financial Services (UBS), where they managed a total of $326 million in client assets. Also joining from UBS is Mark Pignotti, who will be with the employee channel of WFA in Chicago. The 14-year industry veteran has managed more than $317 million in client assets and will report to Metro Chicago complex manager Kevin Ortmeyer. 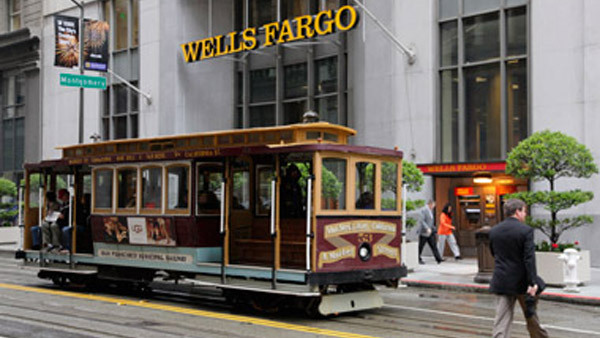 Financial advisor Thomas Teagle has joined Wells Fargo Advisors’ employee channel in Richmond, Va. He has 17 years of industry experience and was previously with Scott & Stringfellow/BB&T, where he managed $155 million in client assets. Chris Carbone, CFP, and Bill Brucato are now with WFA in Utica, N.Y. They bring more than 56 years of combined experience to Wells Fargo Advisors, most recently from RBC Capital Markets, where they managed more than $160 million in client assets. Rob Wiggins joined Wells Fargo Advisors in Raleigh, N.C., from First Citizens Investor Services. At First Citizens, he managed more than $100 million in client assets. Wiggins brings 14 years of industry experience to the firm and now reports to Brad Sears, regional brokerage manager for the Triangle and Eastern North Carolina. Wells Fargo Advisors said last week that a Houston-area team joined it from UBS Financial Services, where it managed more than $300 million in client assets. Robert “Bob” Higley III and Robert “Bob” Gardner, are now with its branch in Memorial City, Texas. At UBS, the team managed more than $300 million in client assets combined. They bring a total of 61 years of industry experience to the firm and now report to branch manager David Fouts. Meanwhile, a firm working with Focus Financial said Tuesday that it added an advisor with about $150 million in client assets. Paul St. Onge joined GW & Wade, an RIA partnering with Focus that has some $4.8 billion in assets under management. Onge has an office in East Greenwich, R.I., while Focus is based in Wellesley, Mass., and Palo Alto, Calif.
St. Onge has run his own RIA firm since 1983, serving clients in New England and Florida. He signed a succession agreement with GW & Wade in 2013. Six months later, the parties say, they decided that, due to the “complementary nature of the businesses,” St. Onge would merge with GW & Wade as part of his retirement and client-transition plan. Onge worked in the past for E.F. Hutton and KPMG as a certified public accountant. Beachwood, Ohio-based Stratos Wealth Partners said Tuesday it added a team in Aiken, S.C., with $20 million in combined assets. The independent hybrid RIA – which trades securities through LPL Financial (LPLA) – has added more than 40 advisors in the past year. The new partners, Robert Freitas and Robert Glance, previously were affiliated with the Smith Group. Both specialize in helping pre-retirees and retirees work towards their retirement and insurance goals. Freitas began his career in the financial-services industry in 2004 as an insurance agent and then joined Edward Jones in 2006. Four years later, Freitas moved to the Smith Group. Glance has more than 25 years of experience in the insurance industry. Freitas and Glance join Stratos’ expanding South Carolina team, which has an additional office in Lexington, S.C. Stratos recently established a presence in Asheboro, N.C.; Birmingham, Mich.; Baton Rouge, La. ; Gulfport, Miss. ; and Scottsdale, Ariz. It now has more than 180 financial advisors in more than 50 cities and 26 states with some $1.05 billion in client assets under management in advisory accounts; an additional $5.1 billion in brokerage assets are held in accounts with LPL. U.S. Trust – part of Bank of America (BAC) – said Wednesday that it has hired three professionals for its wealth- management operations. Joshua Heapes joined its office in Boston as a private client manager. He most recently served as a senior vice president for Citi Commercial Bank’s Commercial Banking Advisory Group. Rodriguez Webb became part of the Raleigh, N.C. office of U.S. Trust as a private client manager. Earlier, he worked as a senior vice president and commercial relationship manager at NewBridge Bank. Bryan Unterhalter moved to the Kansas City, Mo., office of U.S. Trust as a market investment director. He previously worked at American Century Investments as a portfolio manager. Check out Securities America to Add 60 Reps, $950M in Assets on ThinkAdvisor.